Etsy.com is a site where people can sell handmade items. 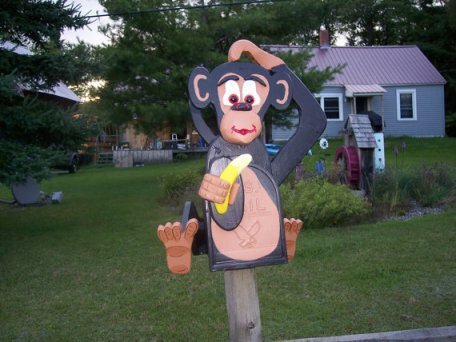 This handmade monkey mailbox seems rather popular amongst primate owners. It’s made from a heavy duty plastic mailbox. If you plan on buying this as a present for somebody, make sure to remember it takes 2-4 weeks for to creator to build this mailbox after you place the order. Visit the CrossKnots store on Etsy for more details. Happy shopping!